Transitioning from academic research to anything else is the bane of scientists' self confidence. In fact, staying in academia can be just as tough of our self-perception. I am venturing a guess that everything is jarring for the self-worth of a scientist. Why are we so fragile? Is it us or is it science making us like that? Does it matter and more importantly - what can we do about it? Read in this blog post in two parts. 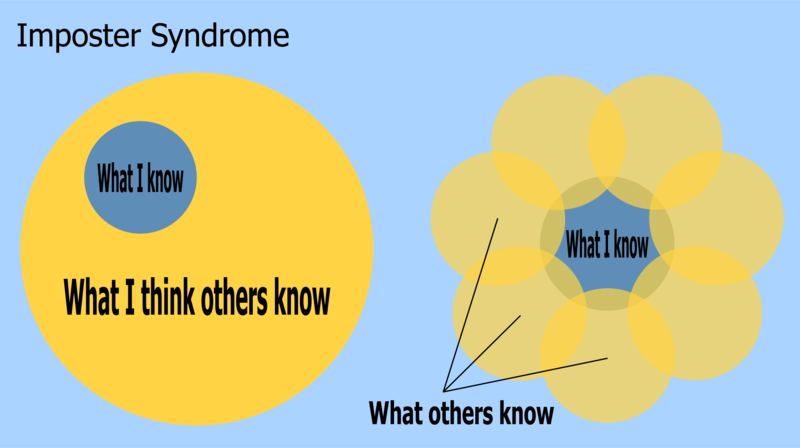 Here’s a short video from a TED talk by Valerie Young who is considered to be an expert in the impostor syndrome (IS) psychology. Next to this video, this article in the Fast Company has outlined the most common IS types with few details about each. Needless to say, once I read them I was convinced I am all of them at the same time – the main signature of the science impostor. I am a scientist and I have transitioned to work outside of academia. And I do feel all the time like my place is not there, not because I miss the academic research, but because I am convinced I am not good enough for either. And I am not saying this for pity or compassion. I have decided to write this post because I know many people from academia who feel the same way. Some of them are still in academic research, others – have moved on. Why do scientists suffer from IS? Why is it that scientists are so hard on themselves when it comes to self-confidence? According to some researchers (Willwock and colleagues) the IS plagues between 30 and 70% of young researchers. My anecdotal evidence surely supports that observation. If you are a scientists, chances are that you would recognize these hallmarks in your everyday life, your view of yourself and the world. Most scientist feel the exceptional need to do everything perfectly… To a flaw! One of the reasons why statistics are so important in science is the rational need to make sure that our observations are not a fluke. So the higher the number of experimental repetitions, the better our data and the more convincing our results. Sure! But sometimes this feeds into our twisted need to have the perfect result, the smallest standard error, the biggest observable effect. I can’t count the astronomical number of times I repeated an experiment during my PhD, trying to get that tiny error bar. In actuality, my results were good enough to proceed to the next main experiment, often with a sufficient certainty after just the third repetition. And yet, I persisted and wasted valuable time instead of advancing with my project. This ties very closely with the perfectionism. Most of my colleagues who were doing a PhD or a PostDoc while I was doing mine, we workaholics. They were the type of people who’d spend endless hours in the lab during the week, go over the weekends, ignore holidays and miss on vacations… All in the name of getting more done, thinking it was ever going to be enough. This is a systemic problem in academia and how scientists are brought up by their mentors, but this in itself is a topic for a whole separate post. I have to admit, that I rarely did that. It’s not a point of pride, mind you. Early enough I understood that whatever I do would not be enough, ever. So I decided that I will not play the game my colleagues had the courage to at least attempt. Which doesn’t mean I was not plagued by the thoughts that I’m not doing nearly enough. The fact that I rationally knew that enough was a mark placed to be unachievable, did not help me emotionally to let go of the guilt from not making it to it. Science is a lot of hard work. This is of course perfectly natural – you need to do a lot of experiments, exclude many variables, consider multiple angles and test a number of hypotheses in order to make rational conclusions. This is how science is supposed to be and we scientists are very well aware of this. No-one was ever told in college that science is an easy or a fast endeavour. And yet, we feel bad when we have to repeat an experiment multiple times to optimize conditions in the search of the more convincing result. We downplay the importance of our efforts as rather our fault for not getting it right from the first time, instead of doing what we are supposed to do, to make sure we are doing science right. This feeling gets reinforced when once in a while a colleague gets lucky and hits upon the right combination of conditions from the get go (yes that happens sometimes and yes – it’s 90% of the time pure luck). Then we are absolutely convinced that if we have to work so hard to get anywhere closer to a presentable result, it just comes to show that we are not smart enough to be doing science . It is one thing to feel confident in your own capacities and being able to work independently on your own project. In science though, this is taken to extremes by our own insecure brains! Truth is that in doing so, there are two options – either we work ourselves sick and get nowhere or we push other people to extremes and don’t give them the credit they deserve for what has become the basis of our own success. In both cases, we are being foolish and unfair to at least one person. This is neither is good, nor efficient. And yet, feeling that we need the help/input of others often makes us question the value of our own efficiency, capability and self-worth. This is decisively irrational, since nowadays research is increasingly multidisciplinary for the sake of making everyone’s life easier and research more efficient. Other people call this “the expert”, because it relates to the fact that we as scientists always feel the need to know everything that is to be known about our field. And when there are lapses in our knowledge we start questioning everything we do know and if there is anything we know at all. 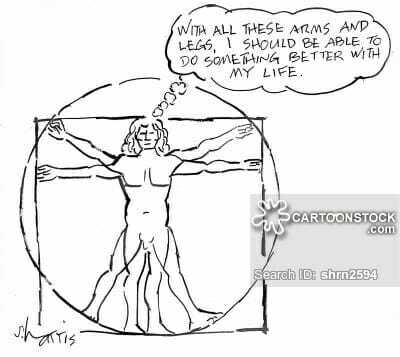 I like calling this the da Vinci paradox. For most of us scientists, all-knowing geniuses like Leonardo da Vinci, Newton, or Tesla are still role models. And that, despite the objective fact that today there is so much more knowledge accumulated, that it is virtually impossible to know it all. Nor is it necessary, again – due to the rise and active push for interdisciplinary research! And yet – the feeling that we “should’ve known this or that” plagues us on pretty much daily basis. While this is not exclusive feeling for scientists (none of the ones above really is), it is very much heightened during a transition into a new field of research or in a position outside of academia where by default we don’t know everything. If you are still reading, you are probably already absolutely convinced that you are in fact an impostor! And you are most probably wrong! There is plenty we can do to recognize this self-destructive behaviour and doing so is already a step towards overcoming it. In the next post, I’ll cover some of the tricks experts have come up with to balance out these negative feelings. 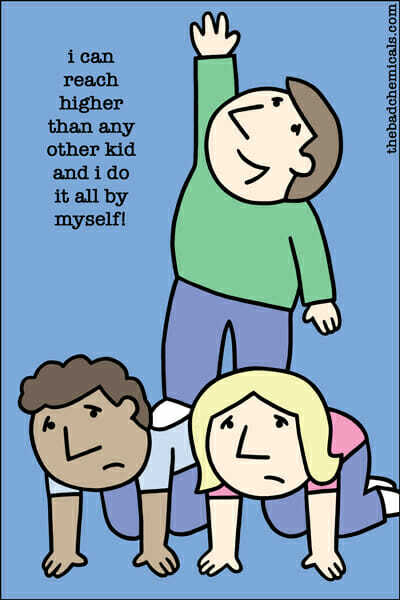 There are plenty of obstacles to us feeling accomplished and I am convinced we ourselves don’t need to be one of them! Previous PostSpeak human to me, scientist! Next PostThe science impostor (part 2) – Beating our brain in its own game of insecurities.